Updated for adults, these jello shots are made without corn syrup, food dye, or artificial flavors found in Jello-brand gelatin. We use unflavored gelatin and real fruit to flavor these, and spike them with your clear tequila of choice. How does alcohol fit into a healthy lifestyle? Well, this will vary by your specific health condition, how you were raised, and whether you enjoy occasional alcohol or not. Alcohol is stressful for the liver, and it does cause leaky gut (see more about alcohol and leaky gut in this comprehensive post from my friends at SCD Lifestyle). It also can be used to help unwind and forget about stresses while enjoying friends and family socially. I personally drink socially, sticking to clear liquors (vodka, tequila) or red wine, with an occasional beer here and there. If you choose to drink, watch for exacerbated symptoms of leaky gut such as depression, anxiety, or poor digestion for the few days after you imbibe, and make your decision about what is right for you based on your personal symptoms. A fun adult's updated version of the college classic. 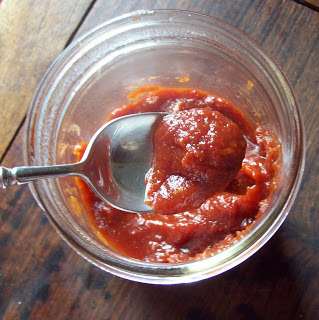 In a saucepan off the heat, mix strawberry puree, lime juice, and honey. Allow to sit for 5 minutes so the gelatin can absorb the liquid, and then stir with a whisk or fork again to break up any gelatin clumps. Heat over medium heat until gelatin is dissolved and mixture is warm, about 5 minutes. Remove from heat and stir in honey and tequila. 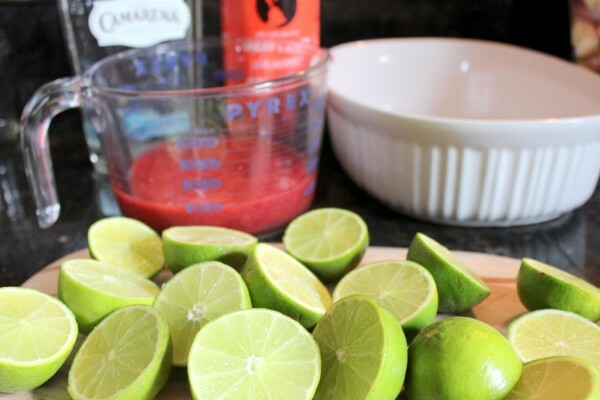 Mix with whisk or fork. 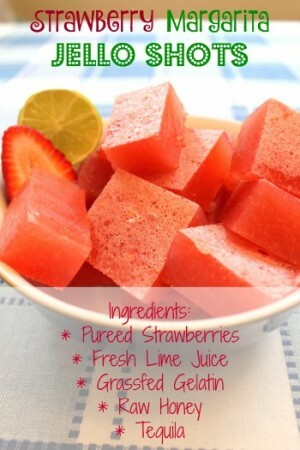 Pour into a rectangle 2-quart dish, cover with plastic wrap, and place in the fridge until firm, 4+ hours. Recipe makes about 8 shots' worth. 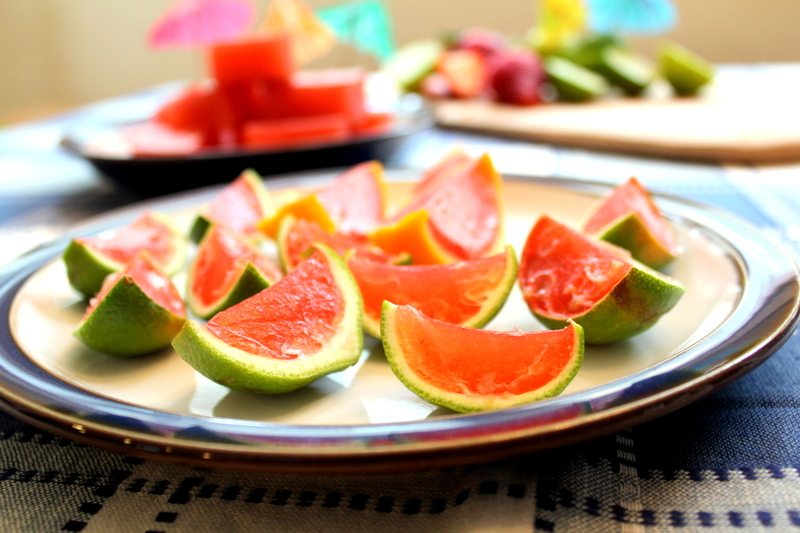 After squeezing out the lime juice, use a very sharp knife to remove the membranes from the lime rind. This is a little easier to do with lemons, but can be done with either. 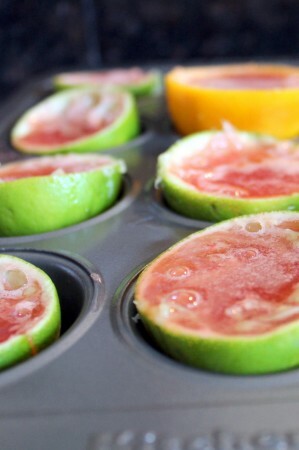 Place hallowed out rinds in muffin cups to hold them upright, and fill with mixture. Chill until firm. 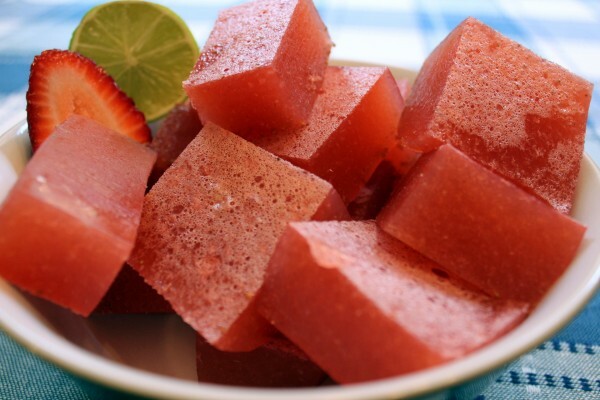 Use a paring knife to trim edges so the rind is flush with the firm jello mixture, then slice in half to make wedges. Cara, these look great! Have you ever tried, instead of chilling them, adding some sparkling water to the shot & using it for a drink? I think I might try it!